Chef Jeffrey Rotz grew up in New York City and started his hospitality career by working the summer months at resorts in the Catskill Mountains of New York. In 1971 he joined the US Navy and was enrolled in their Cook’s Apprenticeship Program where he learned the basics of cooking. Throughout his Naval career, Jeff held many notable assignments throughout the United States. 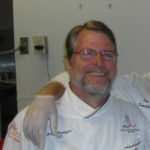 In 1993 after 22 years of service, Chef Rotz retired from the Military and was recruited to teach culinary apprenticeship programs in the state of Florida. In 1997 Chef Rotz was assigned to Eustis High School as the first professional Chef teaching Commercial Foods/Culinary Arts in a traditional high school setting. 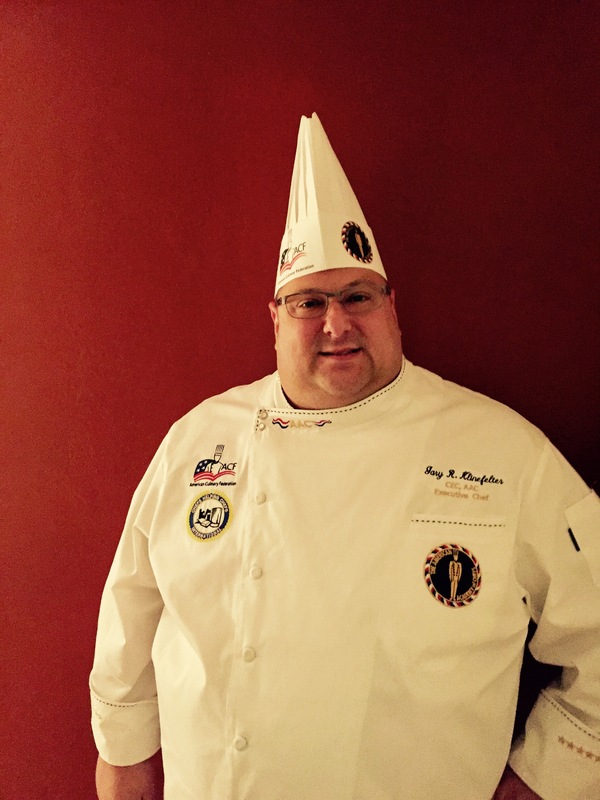 During his tenure there, Chef Jeff was actively involved in the American Culinary Federation Gulf to Lakes Chapter and has held the offices of Chapter President and Chairman of the Board. 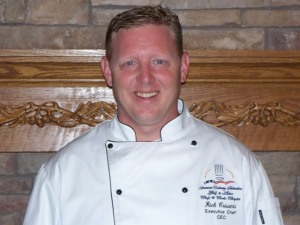 Chef Rotz is also a 3 time ACF Presidential Medallion recipient, the winner of the Joseph Amendola Outstanding Member Award and also was honored as Teacher of the Year 2005 – 2006 for Lake County School District. It was during this time that Chef’s Helping Chefs was founded out of a need for guidance in Navigating the ACF Certification Process. 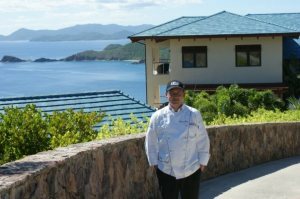 In the past 5 years, Chef Jeff has been responsible for the training of over 2500 Food and Beverage Team Members at over 30 Hotels and Resorts throughout Mexico and the Caribbean, most notably Princesse Hotels and Resorts in Cancun Mexico, Royalton Resorts in Jamaica, Curtain Bluff and Galley Bay in Antigua as well as Seven Star Resorts in the Turks and Caicos. Currently, as the Founder/Project Director of Chefs Helping Chefs, Chef Rotz has focused on his recent partnership with the Caribbean Hotel and Tourism Association to uplift and celebrate the Chefs and the cuisine of the West Indies. 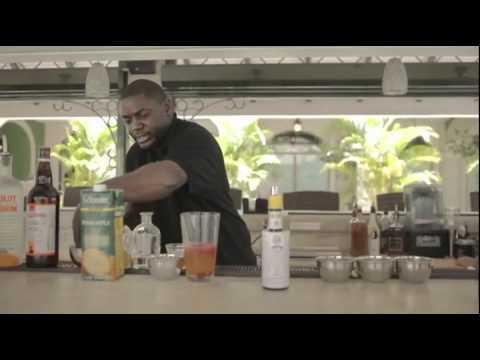 By implementing his “Train the Trainer Program” which develops the structures for educators to better prepare their students for ACF and WACS Certification, Chef Jeff has been able to promote hospitality training and certification for Food and Beverage Team Members throughout the entire Caribbean. These programs will help to increase the morale of the individuals by training them to international standards and raise the culinarian to a higher level while also increasing their employability. A native of Switzerland with over 45 years of culinary expertise, “Tony” had an early interest in culinary arts from his foster dad, a chef at the local railways. So it was an expected move when in 1973 he progressed to culinary apprentice and also studied at the Hotel School Montana in Luzern, graduating with a Swiss Federal Chefs Certificate and a BS in Food Service Mgmt. An avid learner he is presently working on obtaining an MBA in Nutrition &Food Management from ABMS University in Switzerland. During the mid to late seventies, his early chef studies as Commis and Chef the Partie brought him to several properties in Switzerland and England. In the summer of 79, he accepted a sous chef’s position at the prestigious Coral Beach Club in Bermuda. Additional appointments in some of the most famous hotels there, from Executive Chef to F&B manager, opened the doors to enter the US with Marriott Resorts. He held positions from food production manager, exec. Chef and F&B Director. Opportunities in the early stages of the expansion of that company afforded Chef Döös the chance to show his talents as task force chef in opening hotels from the east to the west coast. Five years later he accepted the position of F&B director at the Buccaneer Hotel in St. Croix, USVI. What was to be a three-year appointment turned into 30 years of Caribbean experience. The next appointment as Corporate F&B director for a startup company led to ownership of eventually a portfolio of seven restaurants and the Anchor Inn Hotel. By the late 90ties and after having established himself as the authority in food on St. Croix, he answered the call to create a viable culinary program at the local technical school. By the mid-twenties, he sold the last of his company assets as he now was the chair of the FACS department at Career and Technical Education Center. “Good to Chew Catering Company” was formed as a vehicle to means to fund the program. This company has grown to be the only international certified in-flight catering provider on island and partners with Airculinaire in providing private jet catering service. The company also offers private chef service and caters to any size function. To the later, he has partaken in the “Caribbean Junior Culinary Challenge” in Barbados since its inception. 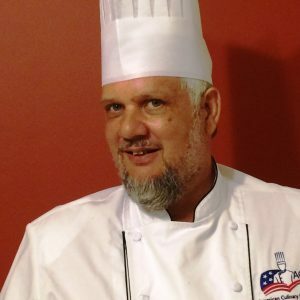 Chef Döös volunteers as a judge at Caribbean culinary competitions and with his consulting company now trains and advises companies throughout the region. Tony is an ACF-Certified Executive Chef, a Certified Foodservice Educator, is a certified Foodservice Management Professional the President and founder of the ACFVI cooks and chefs association, President of the local BBQ Society, a ServSafe Instructor/Proctor, TIPS certified and a member of many more community projects. As a certified Executive Chef, Certified Practical Evaluator, Instructor of the Culinary Arts Program at UHS and chapter president for the local American Culinary Federation Chapter, Matt sure knows how to keep busy. Matthew began his career while still attending High School and rapidly made a name for himself as a top executive chef amongst his peers. 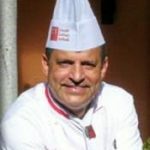 He frequently participates in various classes, refresher courses, conventions and conferences to maintain and elevate his knowledge of current information, procedures and techniques used within the culinary field. Since 2008, Chef Matt has conducted training and evaluation throughout Florida and in the Caribbean with Royal Caribbean Cruise Lines and Chefs Helping Chefs International. He has supervised several apprentices in the culinary industry. He can even say he has a TV career; as he participated in a televised cooking show while employed and residing in Connecticut. Educating, demonstrating and connecting with an audience; whether it be a small kitchen team of ten or a large group of 100+; Chef Matthews’ easy going personable style quickly puts his audience at ease and encourages a hearty exchange of thoughts, interaction and ideas. Chef Rich graduated, with honors, from Johnson and Wales University with a degree in Culinary Arts and Food Management. Since then his career has mainly been in prestigious Country Clubs where he has received many awards and recognition for his talents and improvements to the establishments he serves. Chef has also worked with fine Hotels including Arnold Palmer’s Corporation, The Hawthorne Inn and Wyndham Garden Hotel & Resorts. Rich is also an experienced trainer and educator for the Royal Caribbean Cruise lines and has assisted them with on-board training of their culinary team. Additionally, Chef Rich has traveled worldwide and continues to educate himself in the latest culinary developments, keeping up with the most current trends and steadily increasing his knowledge in the wonderful field of Culinary Arts & Wine that he loves so much. Chef Rich’s sparkling personality and friendly approach is an asset to anyone that is fortunate to work with him. We are proud to have him as a part of our team. Gary R. Klinefelter started his culinary career at the age of 14 by working in the kitchen of a small privately owned restaurant in Pittsburgh, Pennsylvania. At a young age, Chef Gary was fascinated by the hospitality business and worked several positions in prominent Pittsburgh hotels before starting his formal ACF Apprenticeship training. After graduating at the top of the class and earning the “Apprentice Chef of the Year” designation as well as many medals for his competitive work, Klinefelter moved on to his first Executive Chef position and began his lifelong career path as a leader, coach and mentor. Throughout the years, Klinefelter has gone on to accept other appointments in Country Inns and Country Clubs as well as Beach Resorts and Hotels throughout the United States and the Caribbean, most notably The Buccaneer Resort on St Croix, US Virgin Islands where he was Executive Chef and Director of Food and Beverage and the AAA Four Star Four Diamond 998 room Diplomat Beach Resort in Hollywood, Florida where he was Executive Chef of Outlets. Klinefelter is considered to be an industry leader in the art of dry aging meats and has created several in house butcher shops and dry age meat rooms for leading resorts and Celebrity Chefs in the United States. 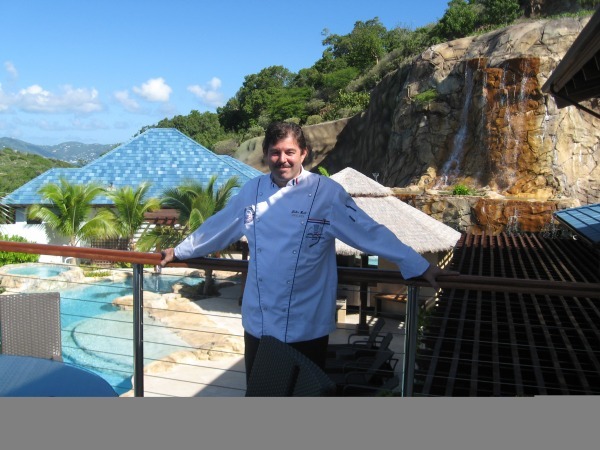 As a past member of the US Virgin Islands Culinary Team, Chef Klinefelter has represented the island of St Croix St Croix in the “Taste of the Caribbean” where the team had earned several gold and silver medals. Chef Gary describes his cooking style as “Eclectic World Cuisine” with an emphasis on Caribbean flavors and fresh, local sustainable food products with regionally inspired cooking techniques which are demonstrated through the 100% scratch kitchens which he leads. It all started as a small child on a bike. I delivered fresh hot rolls with fresh milk to people in my town which was a small quaint village in Northern Germany. The rolls inspired my career as a Certified Master Baker and Executive Pastry Chef. I became inquisitive about those hot rolls. Therefore, I decided to pursue a career as a pastry chef. I have been in the baking and pastry business for over 35 years in several capacities which has yielded a huge success. The fun of tasting sugar for so many years could make anyone have the sweetest of sweet tooth! My training was in Germany and it opened doors to an interesting career around the world. After completing my training, I travelled to several different countries around the world. The experience I gained was invaluable – so many different pastries in so many places. After my travels abroad, I arrived in America and became the proud owner of an exclusive pastry shop in the suburbs of Philadelphia. I made fancy pastries and artisan breads. People would travel for up to one hour to get my sticky buns on a Sunday morning. Being German I naturally made German pastries which drew a unique population of customers. As life progressed, I decided to make a career change. I discovered I had a hidden talent for teaching. Teaching became a passion and I have been teaching baking and pastry for over 20 years. Sharing my knowledge with new aspiring pastry students is what inspires me every day! To see a new chocolate / sugar creation created by a pastry student makes the circle complete in my life of baking and pastry. My expertise stem from the fact of having work in so many different countries, and never to stop leaning. Chef Bell has 30 years of culinary experience – From five star restaurants in Aspen Colorado, Corporate Chef, Consultant and Culinary Educator. He served as personal Chef to John Travolta and has cooked for two presidents and many celebrities. Specializing in nutrition, menu design, food cost and recipe development, Chef John is currently Instructor of the Culinary Arts Program at LHS. His adventurous personality and jovial nature, along with his extensive skills, brings a valuable asset to our CHC team. Chris Ghita is a Grenadian national from very humble beginnings who was raised in Venezuela and later returned to his place of birth in Grenada after spending his younger years in Venezuela. 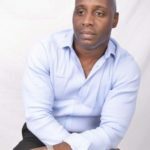 After earning his high school diploma, Chris Ghita joined the hotel industry in 1993 as a waiter at the Indigos hotel and the Rex Grenadian before joining Spice Island Beach Resort as a Senior Waiter. After working tirelessly as a waiter and showing true passion and dedication, he gained experience in several positions such as steward, maintenance technician, houseman and front desk agent. Committed to growth, Chris Ghita then spent several years shadowing his superiors and was promoted to Head Bartender, Food & Beverage Supervisor, Maître D, and Food and Beverage Manager. Chris Ghita was able to move through the ranks by not only shadowing his superiors but also understanding that education and training was vital to his growth of holding a General Manager’s title one day therefore, he did not pass up the opportunity to go through extensive training in Sweden, Ritz Carlton in Key Biscayne, Florida and much more. Chris Ghita holds a bachelor’s degree in International Hospitality Management and Tourism and an MBA Business Administration. He also holds diplomas from St. George’s University in Hospitality Management and French Wines and Wines of the World and Restaurant and Bar Organization. At Gothenburg University, he spent four years studying Culinary Arts and he is also an American Hotel Lodging and Education Institute Certified Hospitality Department Trainer and Hotel Administrator. His hard work, education, experience and talent then led him into earning the position of Assistant Manager at Spice Island Beach Resort. At the age of 29, Chris Ghita left Spice Island Beach Resort to manage Mount Cinnamon Beach Resort, a 21 boutique hotel in the capacity of General Manager. He then spent two years and then went to St. Lucia to manage The Village Inn Spa. Committed to not spending more than 2-3 years at a property he then went on to manage Palm Island Resort in the Grenadines where he left after three years to manage Galley Bay Resort and Spa in Antigua but was first the Hotel Training and Development Manager. After two and a half years he went on to manage the Sandals White House in Jamaica, a 360-bedroom hotel in South of Jamaica and he also served as Hotel Manager at Sandals Montego Bay and Sandals Royal Caribbean in Jamaica. Chris Ghita now currently serves as General Manager at Ocean Terrace Inn where he has been focused on training and development, hospitality development, Succession planning for Hotel Employees, environmental sustainability, corporate responsibility and partnership and also the adoption of the Irishtown Primary School. Chris Ghita took Ocean Terrace Inn to “CHIEF 2017” at the Hyatt hotel Regency Miami and placed most sustainable hotel in the entire Caribbean. The Ocean Terrace Inn under the leadership of Chris Ghita has just been certified by the UK based Organization “Hospitality Assured” the only hotel in St. Kitts to have this certification. Chris Ghita is the current Co-chair of the Junior Achievement foundation for St. Kitts and Nevis and is an accomplished trainer in all aspects of the hotel industry with twenty-four years’ experience training in different institutions through the OECS and now St. kits and Nevis. Marcus Stone Herrington was born in fort Leavenworth Kansas to an Army colonel moved frequently including Japan and Germany. When returning to the states in the 1970s Marcus was working at the opening of a Hilton Hotel where he met 4 graduates of the Culinary Institute of America who inspired him to become a chef. By the 1990s he had worked through all the position in the kitchen and at many of the hotels and clubs in the Orlando area. Marcus was the food and beverage manager at a semi private country club, and not happy. An associate through the American Culinary Federation (ACF) told him of a job opening with the Lake County School District and he left the country club in 2000 and became a culinary instructor. In 2003 he completed the requirement to become a Certified Executive Chef (CEC) through the American Culinary Federation. With a teachers schedule being off weekend and nights I volunteered my time to my local ACF chapter accepting the responsibilities of many board positions and at present I am the vice president. In 2017 I realized that the changes that had taken place in the school system were no longer conducive to a proper introduction into the culinary arts and I retired from the Lake County School. 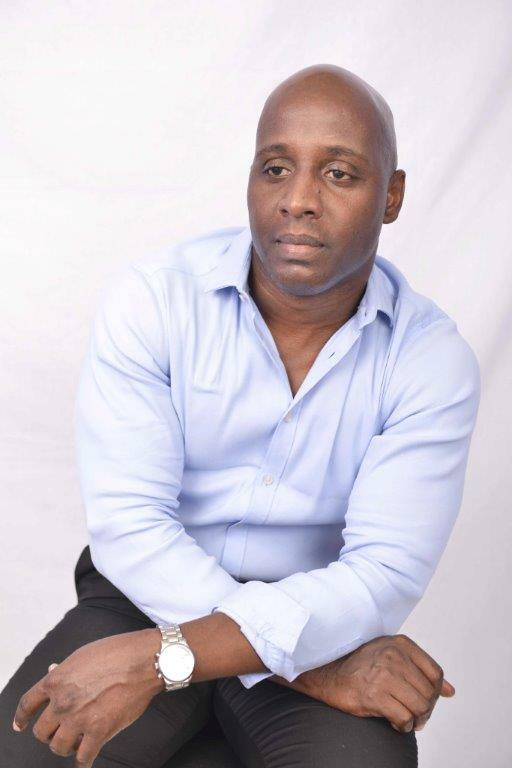 Wilbert Mason is a senior hospitality management professional specializing in boutique luxury resort/spa operations. Nearly 26 years of experience encompassing hotel/conference facilities in the United States and exclusive, luxury resort destinations in the Caribbean and West Indies. His service-oriented philosophy serves as foundation for business building, relationship management, marketing, team management, revenue generation, and delivering superior quality service. Wilbert is a Certified Hospitality Administrator (CHA) and holds a Master’s Certificate in Food and Beverage Management from Cornell University, a Bachelor of Science in Business Management and Hospitality Management from Utah Valley University, and a Master of Business Administration from Regis University. Bernd Mueller is a German national. He is a permanent resident since 1979 in the US. He was educated in his native home town Bensheim, Germany. His years of apprenticing and learning Culinary Art and Science took him from Germany’s highly regarded hotel and restaurants to a short but intense cooking tour through France with Paul Bocuse in Lyon and Roger Verge at Le Moulin de Mougins in Nizza. He held various executive chefs position with prestige international hotel chains like Marriott International, Hilton International, Princess International, and Opryland Hotels. In Germany, Hawaii, Texas, Florida, Mexico, Caribbean and occupied the Corporate Chefs Position for Posadas de Mexico (Holiday Inn). Bernd graduated in Germany with professional Chefs apprenticeship degree. He also obtained the Executive Chefs certification from the American Culinary Federation CEC. He is a Dale Carnegie graduate. He attended many certification courses, amongst them leadership skills, diversity training, communication skills, and people with the likes of Tom Peters, Kenneth Blanchard, and many more . . . His general management and concept development skills have been sharpened and broadened, as his love for teaching and mentoring during 10 hotel openings around the globe. Bernd has cooked for World leaders, Dignitaries and Royalties including US President Ronald Regan, George Bush Sr., Mexico’s President Miguel Aleman, Lopez Portillo, Luis Echevarria and Dias Ordaz, US Secretary of State Henry Kissinger, his Royal Highness Prince Turki Bin Abdul Aziz-AlSaud, hosted Billy Graham’s seventy’s birthday party and the President of is native Germany Walter Scheels as President Suarez from Spain. Bernd’s tireless activism promoting the culinary trade through fund raising effort since 1989 with the homeless and hungry relief organization Share Our Strengths. 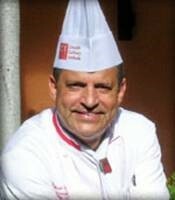 He is still an active member with the American Culinary Federation and the German Chefs Association. He participated in Omni Hotels Food and Wine Symposium, traveling to Spain, Argentina and France. Also in 2009, he represented Omni Hotels at the James Beard House in New York to conduct the kick off for the French Promotion. He has appeared in Heath Food Network, local TV and radio stations and the syndicated international kitchen in Hawaii and traveling in 1996 with the ACF delegation and Martin Yan to China, attended the Chef excellent program at the CIA in NY and Greystone, California. He is fluent in English, German and Spanish. • 30 plus years of cooking on the Memphis In May and KCBS BBQ circuit. • Jim is the only international BBQ instructor for KCBS. Since 2011 he has traveled to: the Netherlands, Denmark, Belgium, Italy, Germany, UK, Estonia, Czech Republic, Hungary, Canada, Australia & Costa Rica. • Jim was Krafts Food BBQ Ambassador 2012-2013. • Cooked for President Bill Clinton, Tennessee State Senator Fred Thompson. • Assisted NBC Weatherman Al Roker when he competed in Memphis in May. • Featured on the Paula Deen Food Network. • Cooked for Mark Sanford – Sitting governor South Carolina ’07. • West Side Nut Club – Non-Profit that gives back to the community in large sums. David Ivey-Soto MBA, CEC®, CCA® has diverse industry experience of over twenty-five years in fourteen countries on five continents has provided him with insights into the foodservice industry and the experience to share his expertise. He is a former National Secretary of the American Culinary Federation serving on its Board of Directors. Chef David has been featured in National Culinary Review, ESPN The Magazine, Freekick, The Daily News of the Virgin Islands, Newsweek, The Washington Post, among other publications and has been featured on WRC-TV NBC 4, Washington, DC. Before starting his companies, Chef David was the Training Development Manager at UniPro Foodservice, Inc. There his responsibilities included instructing menu management programs, designed to assist both the operator and the distributor sales representative in understanding the importance of the menu and how it relates to profitability. He was also charged with helping to develop and implement a series of training programs for the foodservice industry. David Ivey-Soto earned his AOS from the Culinary Institute of America where he was on the Dean’s List, was the Student Council President, and was Sommelier de Vin. He was honored to be selected as a Fellow of the Culinary Institute of America where he worked with chefs Clark and Canner in the Fish Kitchen and with Mr. Schmitter in the American Bounty Dining Room. [Fewer than 2% of all graduates of the CIA are selected to serve as a Fellow.] He has been a candidate for Master of Wine and Master Sommelier, which he pasted two of the three sections. 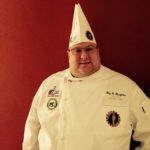 He earned his Certified Executive Chef from the American Culinary Federation in 2000 and has earned his Certified Culinary Administrator. In 2005 he earned his MBA from the College of William & Mary. He has competed in many culinary competitions. Israel Calderon is a Certified Executive Chef and Certified Culinary Administrator with the American Culinary Federation. He possess over 25 years of experience and has worked at renowned Hotels like: Caribe Hilton, Chicago Hilton & Towers, Grand Fiesta Americana Coral Beach Cancun (5 Diamond), Sheraton Old San Juan, Mundo Imperial (5 Diamond) in Acapulco, The San Juan Water & Beach Club, Hilton Trinidad, El San Juan Resort and Casino; and as an entrepreneur he created of one of the most tantalizing Latino restaurant in Chicago, Illinois, Rumba; and of Café Calderon (Creative Puerto Rican and Cuban Cuisine) in San Juan, Puerto Rico. His latest venture is as Corporate Executive Chef of Jimmy’s NYC; Latin-Asian Fusion Restaurant in Times Square. Calderon has had the opportunity of cooking for many personalities, celebrities and dignitaries. One of his most memorable moments was when he was invited to the White House by US President Barrack Obama and First Lady, Michelle Obama, for the launch of Chefs Move to School program. 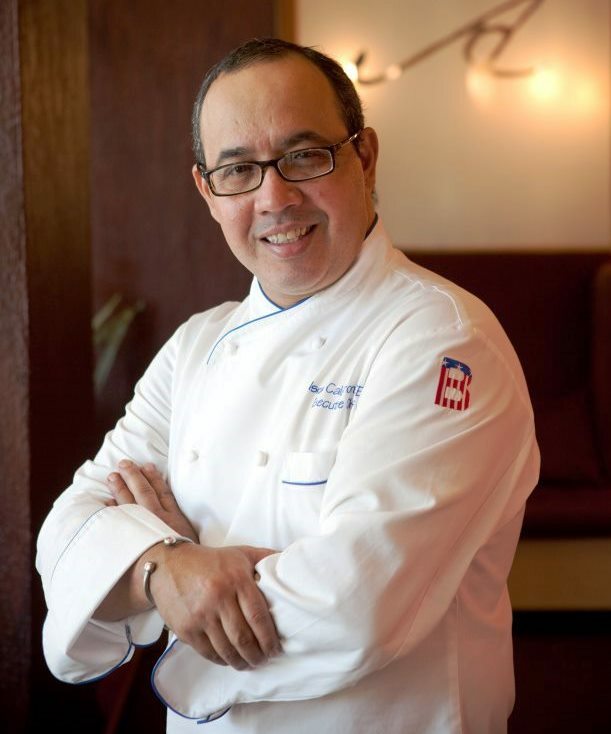 Chef Israel Calderon studied at the Culinary Institute of America in New York; Instituto Educación Universal in San Juan; as well as Specialty Programs in Italy, France and Switzerland. 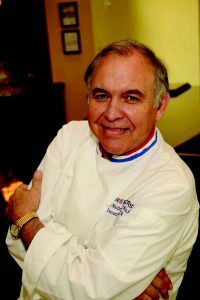 Calderon has won over 12 gold medals in culinary competitions, several awards at various hotels, such as Manager of the Year, he was the national winner of the 1998 Jack Daniels BBQ Competition; and many more medals. He is an active member of the American Culinary Federation, ACFs Chef and Child Organization, World Association of Chefs Societies. Chef Calderon is a Board Member for ACF Gulf to Lakes Chapter in Florida, BOD of Skal International Puerto Rico and a Collaborator of the organization Chefs Helping Chefs International. Chef Calderon is a firm believer of Mentorship; he feels very strongly about helping build a solid foundation in our young culinarians so that they can become excellent professionals tomorrow. Many of Chef Calderon’s apprentices are now day Executive Chefs, excellent professionals and above all great human beings who understand the meaning of passing along our knowledge and mentoring others. He takes great pride in the presentation of his dishes, and in using the freshest local products available. Chef Calderon’s style can be described as creative, innovative, chic and classic. Born in a small district called Friendship, Strawberry in the parish of Westmoreland, Fredrick Gayle attended the Strawberry All Age School and was awarded a space at Frome Secondary School now Frome Technical High School. Chef Gayle started working in the hotel industry at the Half Moon Beach Resort and Spa in 1986 at the age of 18 years as a dishwasher. While in that capacity, Fredrick’s zest for knowledge and love for cooking resulted in him assisting the cooks in peeling potatoes and prepping vegetables before his shift began and after the end of his shift. He was eventually promoted to the position of prep cook and over a span of (4) four years, became a Sous Chef. Fredrick went on to pursue an Associate Degree in Culinary Arts at Hocking Technical College in the United States of America, where he graduated with honors. Since then, he has worked in various hotels in Jamaica including properties such as The Ritz Carlton Resort & Spa, Coyaba Beach Resort &Spa, Dragon Bay Beach Resort and Seawind Beach Resorts, in addition to international properties such the Ramada Inn Hotel, Hyatt Regency Columbus Ohio and Hyatt Regency Crown Center Missouri all in the USA. 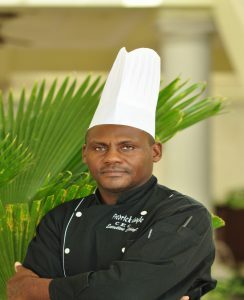 Interestingly, after leaving the prestigious Half Moon Beach resort & Spa for about (12) twelve years, Fredrick was rehired as their very first Jamaican Executive Chef in Twenty Five (25) years he held the same position in one of the largest Spanish owned hotel in Jamaica- Grand Palladium Hotels and Resorts as the first and only Jamaican Executive chef in a Spanish Hotel in Jamaica, Executive Chef at Sandals Ochi Beach Resort, the largest Hotel of the Sandals/Beaches family, the leading chain of hotels in the Caribbean. 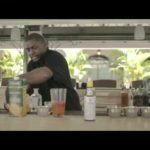 Fredrick currently works as the Executive chef for Meliã Resorts International, where he opens the 232 rooms Meliã Braco Village, the first Meliã Resort in Jamaica. Fredrick has won for himself a myriad of accolades in local and international Culinary Arts competition. He represented Jamaica on the 1997 junior culinary Olympic team to Toronto Canada and was featured in many local and international newspapers and has thrilled the palates of famous personalities around the world. Laura began her Culinary career 27 years ago and during the course of those 27 years has worked in every aspect of the Restaurant business from front of the house, back of the house, management, bar service, banquets, supervisor and even owner/proprietor of her own establishment. Whether it be a small staff of less than 10 or a large staff of 100+, Laurie is able to connect with each team member on an individual level and develop the rapport needed to convey expectations and requirements of duties while not having any reservations about stepping up to help get the job done right alongside of her team. Our resident customer service specialist, Laurie is on hand to work with your service staff in etiquette, service standards, professional image, teamwork and guest relations. Her outgoing personality and experience in just about any restaurant variation imaginable, makes Laurie a great asset to our team and selection of offerings available. Chef Larry Nibbs has been cooking most of his life. Born on Tortola but raised on St. Thomas, he started in the food industry with an after school job at the old Barbary Coast in Frenchtown. 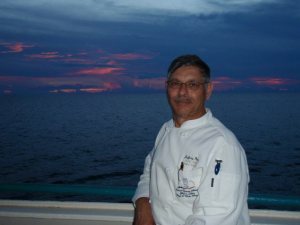 He worked his way up to chef, and went on the spend eight years cooking at Frenchman’s Reef and more than four years at Caneel Bay. Chef Nibbs has distinguished himself as a member of the ACF and is one of the only six Certified Executive Chefs in the Virgin Islands. He is also the only certified Approved Certification Evaluator located in the Virgin Islands. Chef Nibbs has traveled the seas as he trains and tests members of the Royal Caribbean Cruise lines Culinary Staff and routinely attends National Chef Conventions where he participates in hands on seminars, training, and continued education. As our “Islands Representative”, CHC is proud to have Chef Nibbs as a member of our team. 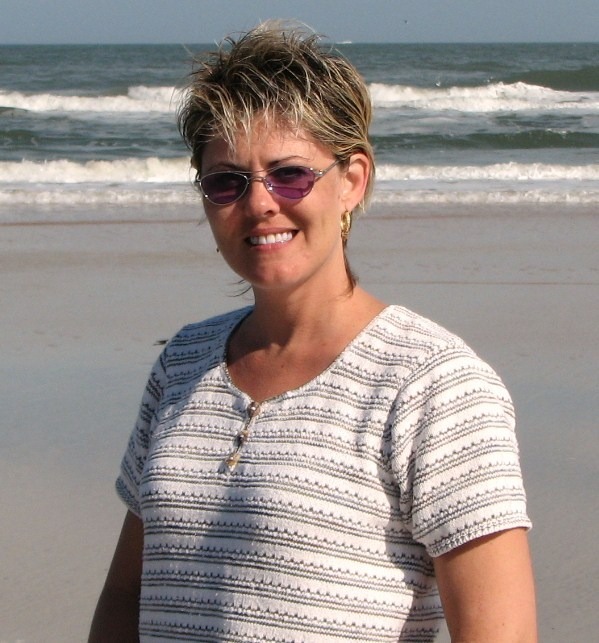 Elizabeth Baase, CEC, AAC, ACE is a distinguished chef, manager, instructor, leader and trainer. She is currently an ACF culinary evaluator (ACE), culinary instructor and Personal Chef. She is a ServSafe Certified Instructor and Proctor. She is a certified executive chef (CEC) and a member of the American Academy of Chefs (AAC), the honor society of the American Culinary Federation. She is a graduate of Johnson and Wales University. Baase’s career, spanning more than 30 years, is dedicated to elevating the fields of culinary arts and using her skills as a culinarian to give aid to those in disaster situations. Baase is the first woman to win Southeast Regional Chef of the Year in 1998 and Southeast Regional Vice President of the American Culinary Federation. She has been a member of ACF since 1991, and in 2005, was elected for a four-year term. Chef Dave Durante worked at a young age in an Italian neighborhood delicatessen located in Schenectady, New York. His inspiration originated from the daily meals prepared by his family and an Italian Chef/Owner. Chef Dave graduated from The State University of New York in Morrisville with an Associate’s Degree in Business Administration. After the completion of college he moved to West Palm Beach, Florida where he worked in food and beverage at a corporate level but knew he wanted advancement. 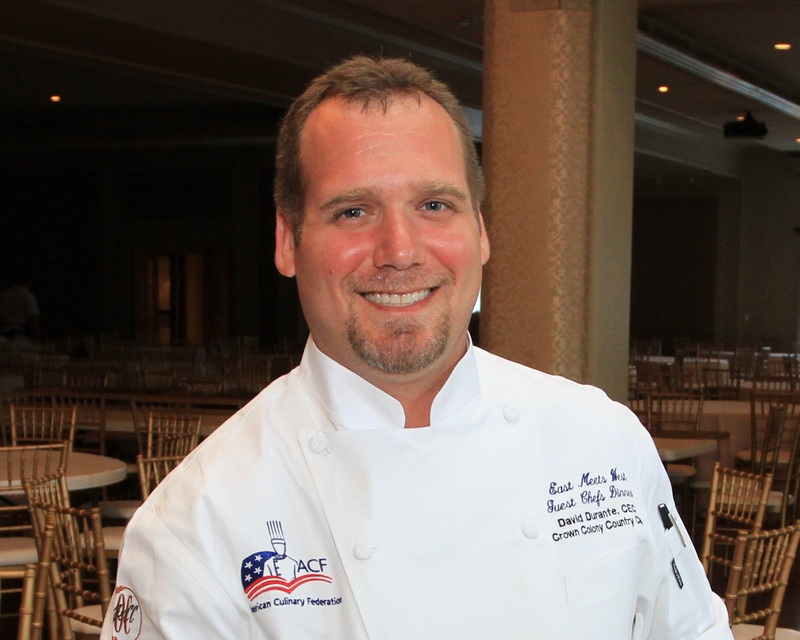 Chef Dave relocated to Crown Colony Golf and Country Club in Fort Myers, Florida as the Executive Chef/Food and Beverage Manager in 2010, He achieved the Certified Executive Chef designation and became an Approved Culinary Evaluator through the American Culinary Federation. Chef Dave is the Certification Chairman of the Caxambas Chapter of Naples and Marco Island. He is constantly striving for professional and personal growth and has become a member of The Club Managers Association of America in the Florida Chapter, Everglades Region with the ultimate goal of being a General Manager with the CCM Designation. This past year his accomplishments were acknowledged with receiving the 2013 Culinarian of the Year and the 2013 President’s Appreciation Award from the American Culinary Federation.